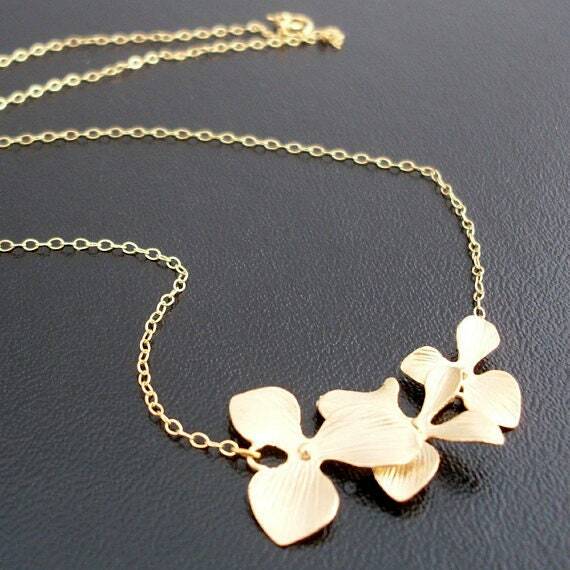 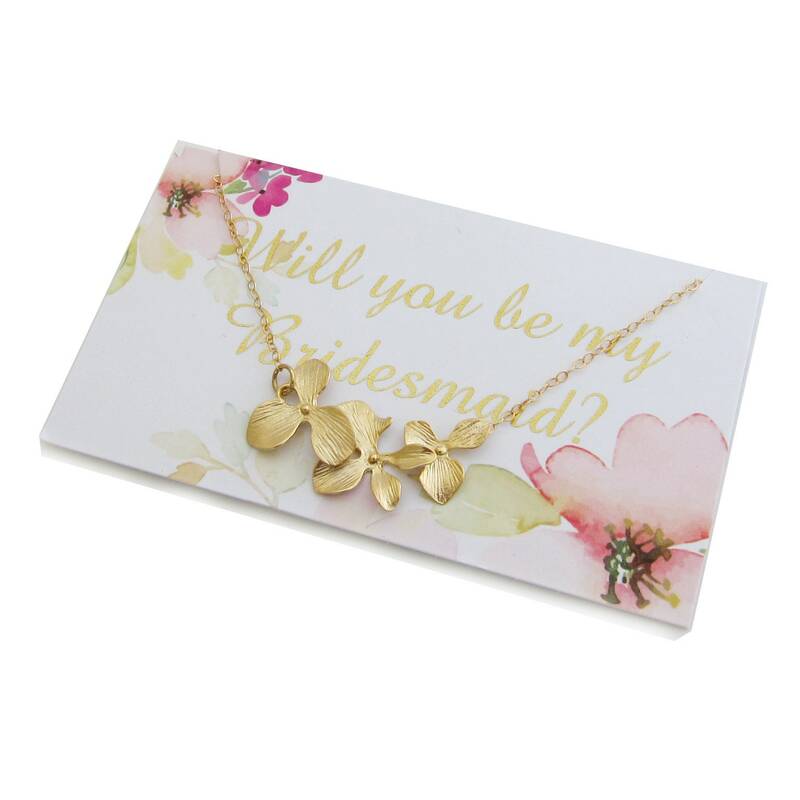 This elegant orchid flower necklace features 3 cascading orchid flowers in a gold plated finish strung on a 14k gold filled chain. 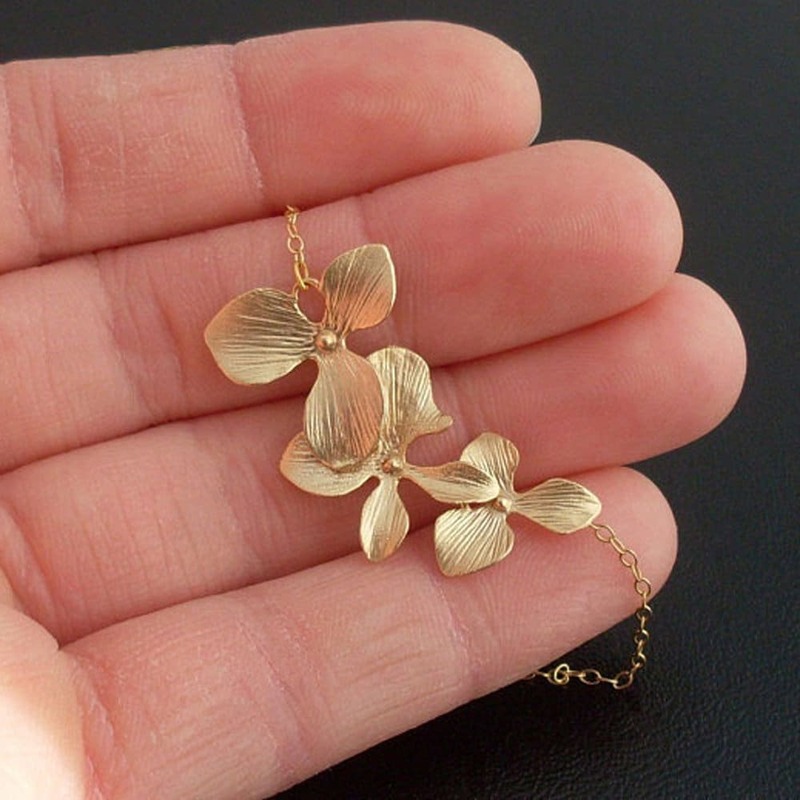 The orchid flowers are interlocked, and movable. 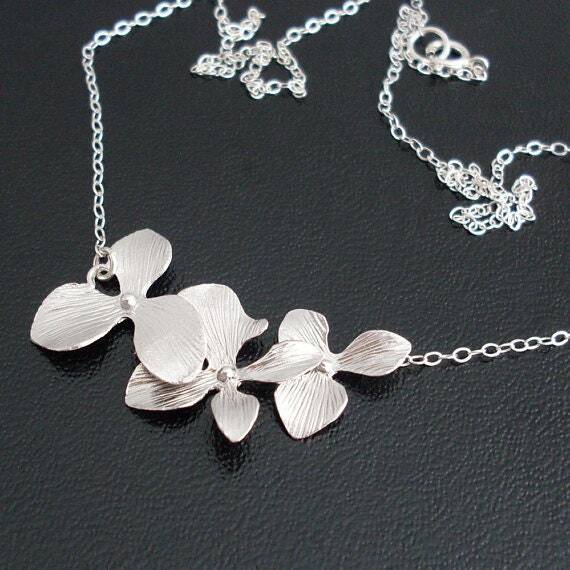 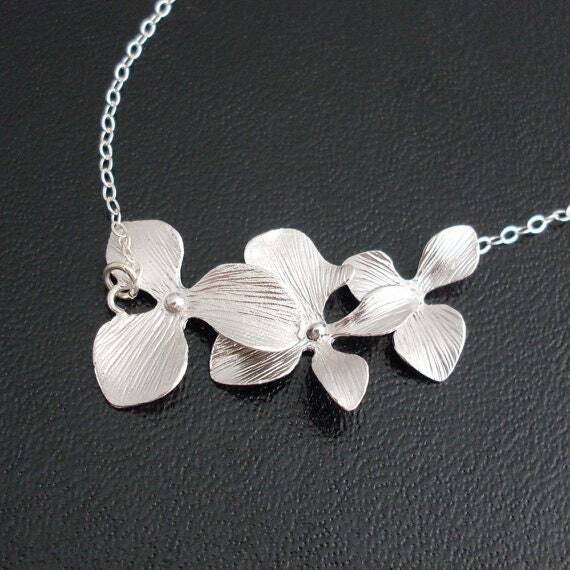 Also available in a silver plated finish with sterling silver chain. 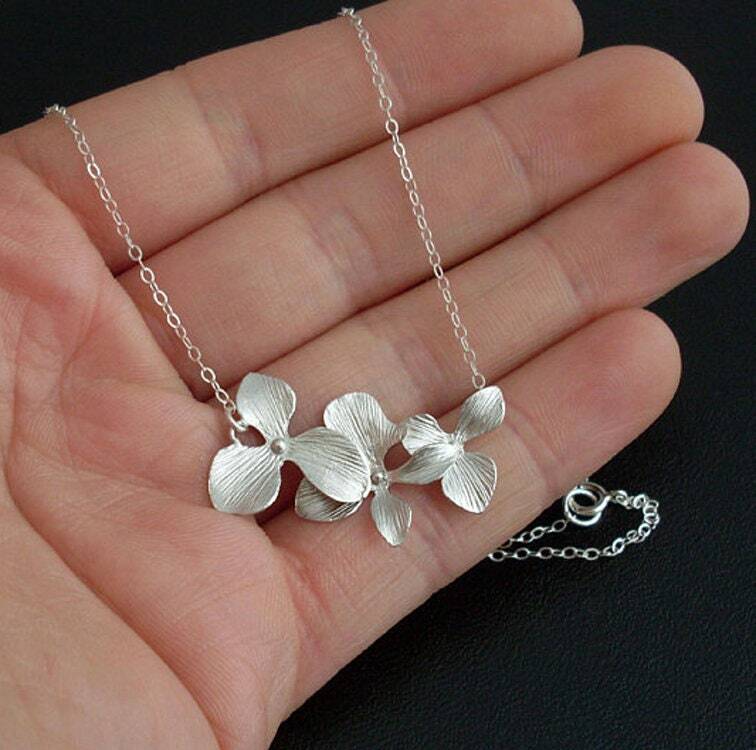 If ordering necklaces of varying sizes add to cart grouped by size and finish. 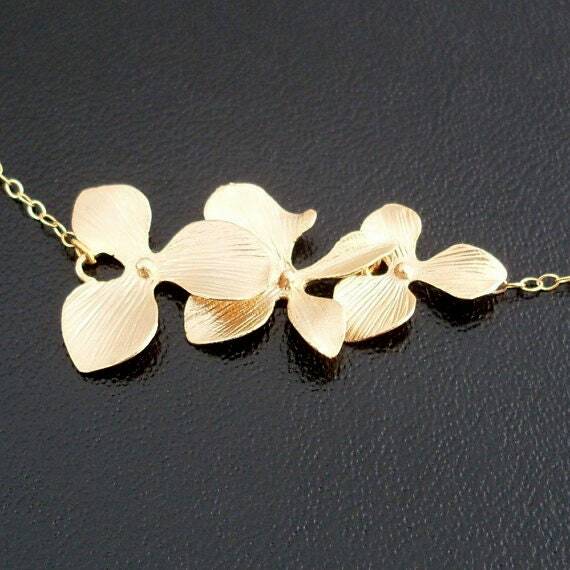 Such as three 18" in gold add to cart and then four 16" in gold add to cart.